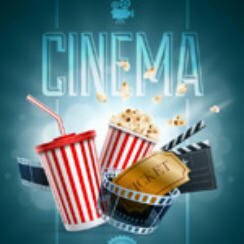 Popcorn Cinema Show takes a look at the movie releases 20th May 2016 for the UK, US, Australia and New Zealand at the cinema, plus all the weeks film news. This week sees the UK release of X-Men Apocalyse. Carry On To Carry On? Digital Spy report that the Carry On film series is to carry on with a new film named Carry On Doctors. Written by the writers of the sitcom Two Pints of Lager, Tim Dawson and Susan Nickson. No news on the casting front as yet. Failed businessman Alan Clay (Tom Hanks) goes to Saudi Arabia to sell a holographic teleconferencing system. Set in 1980s Dublin, Connor is forced to change schools in doing so he meets a girl and in order to impress her starts a band. So there are the weeks new releases with X-Men Apocalyse bound to receive all the attention.